Check your emails if you're a Samplesource member! They are offering free magazine subscriptions! Quantities are limited. 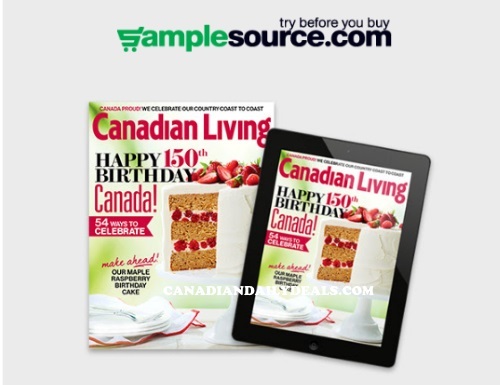 This is a 6 month trial of Canadian Living tablet/digital edition. It looks to be a targeted offer for those who may have missed out on the Samplesource spring sampler packs earlier. You need to click on the link in the email that was personalized for you, I do not have a link to share.